One of the theaters of the ITI Hungarian Center, Vörösmarty Theater plays one of his performances in Budapest. See the annex for more information. the executive director of Vörösmarty Theatre. Frank Galati made a wonderful stage adaptation. One of the protagonists of “Kafka on the Shore” is a strange, shy and half-witted old man called Nakata, who never got over the traumas of the Second World War. He is inconceivably drifting towards Kafka, a young boy who is struggling with the loneliness and hardship of growing up. The title character, the fifteen-year-old Kafka Tamura leaves his home in Tokyo to escape from his father's terrible curse. Nakata cannot read, but speaks the language of cats and is able to translate human fate. The stories of Kafka and Nakata are intertwined. Dream and reality, destiny and myth. Nothing looks like as it is. People like to compare Murakami to Japanese cuisine: the mixture of sophistication, relentless friendliness and the exotic. Dreams, memories, and reality are simultaneously present in his novels, seasoned with his characteristic dry humour. The story invites both the creators and the audiences to spiritual adventures. It teaches us to look at the world in its complexity, to accept that it is an infinitely complicated and complex organic system, and for trying to comprehend it, it is not enough to think in clichés. It makes us realize that there are so many ways for us to go if we accept the enigmas of the world with wisdom and tranquillity. The extraordinary play will be performed by the outstanding ensemble of the Vörösmarty Theatre. 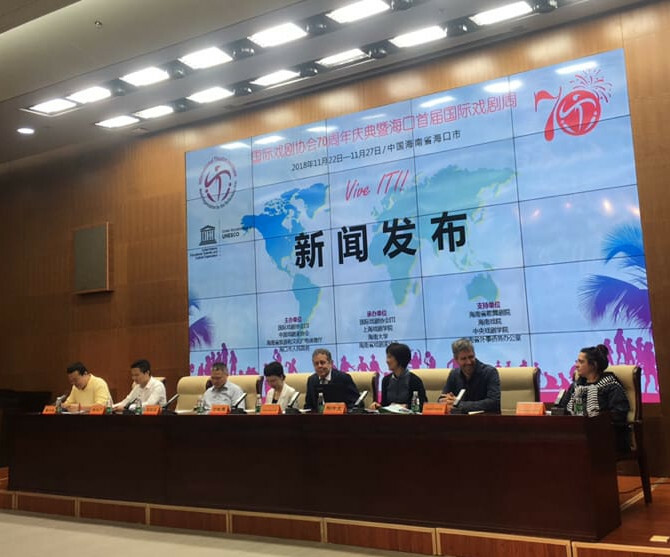 The Network for Higher Education working under the International Theatre Institute will hold its upcoming meeting in October 2018 in Shanghai. Since we strongly believe in the cause of artistic higher education, and since Péter Huszti has been very active in the Education Network during the past several decades, ITI Hungarian Centre has initiated the founding of a Hungarian Higher Education Working Group. Its members are the Department of Scenography / Hungarian University of Fine Arts (Edit Zeke), the Hungarian Dance Academy (Gábor Bolvári-Takács), the University of Theatre and Film Arts Budapest/Institute of Theatre Arts (László Upor, László Bagossy) and the Kaposvár University/ Rippl-Rónai Faculty of Art (Kitty Kéri). We will give periodic reports on the activity of the working group. Two members of the Working Group will travel to the congress in Shanghai (László Upor and Kitty Kéri) representing their universities, among others in the “Presentation Session” held on 20 October 2018. On its new website the Hungarian Centre will publish an English language introductory material of the two schools under the code Quart, to provide assistance to the working group. 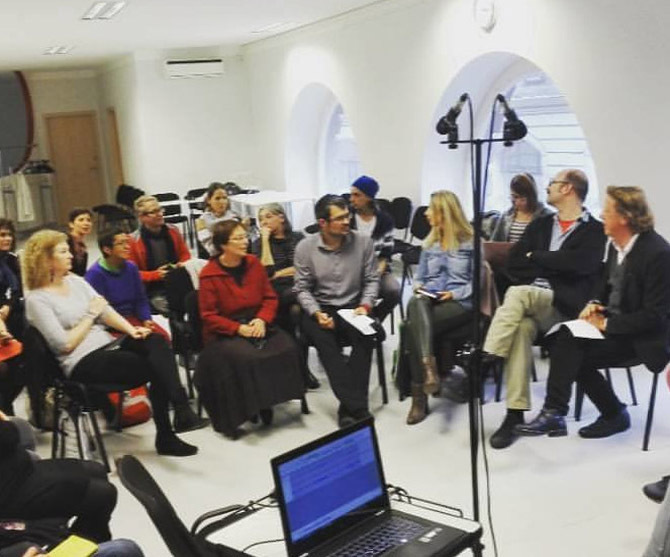 In September 2017 the ITI Hungarian Centre organized a workshop with Dr. Frank Hentschker, Director of CUNY Martin E. Segal Theatre Centre in New York. The workshop was sponsored by the National Cultural Fund. Frank Hentschker has worked for several years as assistant to Robert Wilson and also appeared as Hamlet in Heiner Müller's own production of his play Hamletmaschine, among many other roles. Presently he is working on a monograph on the text of Robert Wilson’s performances. Frank Hentschker holds a Ph.D. in Theatre from the Theatre Institute in Giessen, Germany. He currently serves as Executive Director and Director of Programs at the Martin E. Segal Theatre Center (MESTC), an institute for theatre based at the CUNY Graduate Center. In this capacity, since 2001 he has transformed the MESTC into a premier forum for public programming in international and U.S. theatre and theatre studies. He founded the acclaimed annual festival PRELUDE--AT THE FOREFRONT OF CONTEMPORARY NYC THEATRE, which features twenty New York-based theatre companies and playwrights at the Center each fall. He also started the PEN World Voices Playwrights Series. Each year, Dr. Hentschker curates and produces approximately 40 events for the Segal Center, featuring lecture-demonstrations, symposia, works-in-progress and conversations with theatre scholars, theatrical luminaries and emerging voices in the international and local theatre scene. · What contemporary plays are born in New York and the USA and how are they staged? Is there a need for foreign contemporary plays? · What are the most important theatre festivals in the city, what is their profile, which ones are interested in foreign performances? 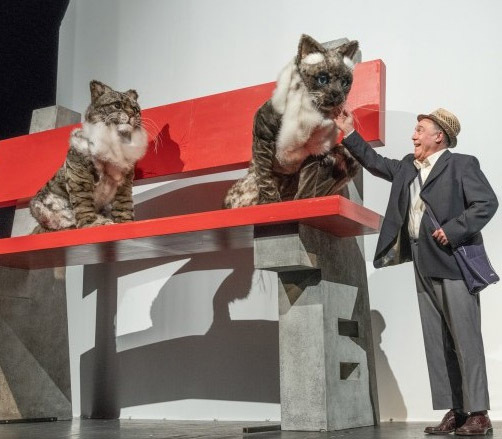 · What aspects of European theatre are interesting for the US audiences? What types of performances can count on the interest of the New York audiences and festivals? What types of works reach New York from Eastern and Central Europe and what is the response they receive? · How would you describe the system of academic training? How can foreign students and professionals apply to workshops, training and research exchange programmes? Are there any particular training methods and courses? 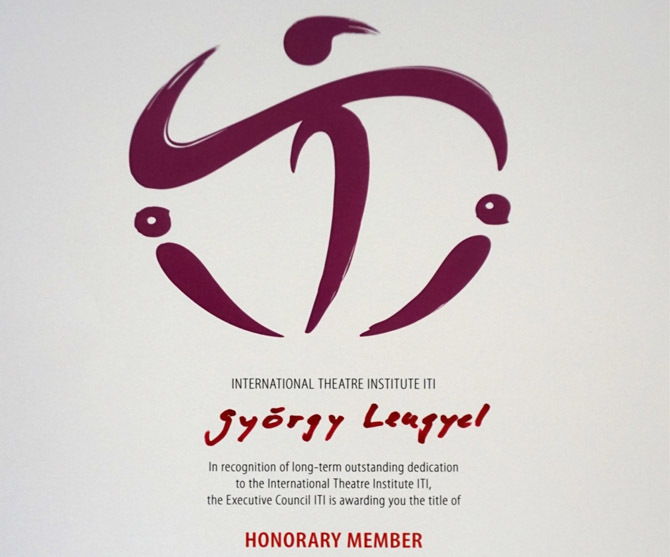 The Executive Council of ITI awarded the title of Honorary Member of ITI to director György Lengyel for the dedicated work in leading the Hungarian Centre of ITI for several decades, presented at the 2017 world congress of ITI.